When a dollar moves from a private wallet to a public treasury, it is a tax. 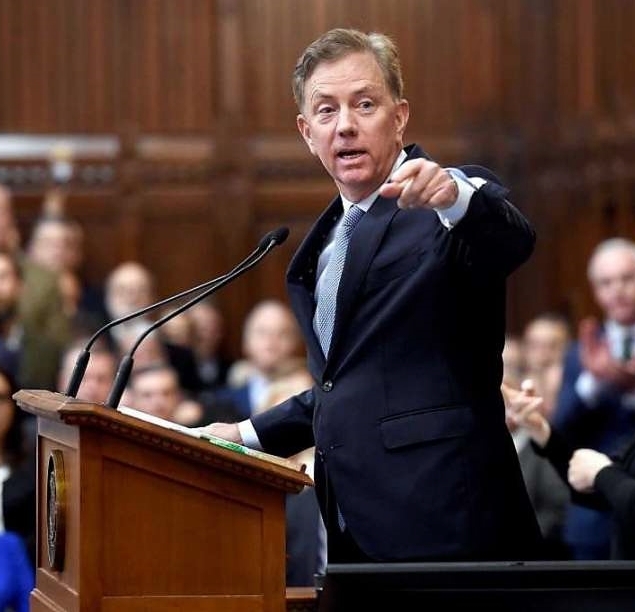 This year will be a tax bonanza for Governor Ned Lamont’s administration. Some projected tax increases have not yet been written in legislative stone, but it is possible that tax increases in the Lamont administration may exceed those of the preceding administration. Malloy raised taxes in two installments during his two terms in office; taken together, his two tax increases may represent the largest tax boost of any administration in state history. Malloy’s low approval rating upon leaving office – 25 percent -- is traceable to tax impositions, a bristly, autocratic character, and the failure of his policies to stem chronic deficits. The above definition of a tax allows us to regard the elimination of tax credits and the extension of taxes to other goods and services as tax increases. Business taxes, as we know, are transferred to consumers in the form of higher prices for goods and services; business taxes therefore are ultimately consumption taxes. The illusion that businesses pay taxes is an imposture that figures greatly in the propaganda of progressives who imagine they are doing a favor for the middle class by taxing companies. Tolls are taxes. Legislative raids on so called dedicated funds and lock-boxes represent, in the long run, tax increases, because the raided funds must be replenished sometime in the future. Bonding is the taxation of future taxpayers. Connecticut’s enduring problem is that the gap between spending and getting continually increases. That increase is due in large part to an indisposition among Democrats who dominate the General Assembly to control spending. So long as it is possible to increase taxation, governors and legislators needn’t worry about curbing costs. Those in Connecticut who are responsible for having increased the bottom line of their budgets threefold since the state income tax was passed into law in 1991 are making prudent political decisions in raising taxes rather than reducing costs. Unlike clamorous state worker unions, the great mass of voters in Connecticut is unorganized and not as able to exert political influence on legislators and governors. The Lamont administration insists that taxes put into the tolling lock-box will be inviolate. But legislators already have plundered the transportation fund lock-box by intercepting the funds before they reach their appointed destination and dumping the money into the general fund to pay for the extravagant cost of government, which increases in direct proportion to its extension. There are two ways to deprive bank depositors of their funds: You can rob the bank, the lock-box in this instance, or you can hold up the stagecoach delivering the bank deposits. That is what the Lamont administration appears poised to do. In the past, lawmakers have withheld part or even all of General Fund revenue scheduled to be placed in the state’s Special Transportation Fund (STF), a sleight of hand called “a diversion.” From 2010 to 2017, the legislature diverted more than half a billion dollars from the STF fund. The Malloy/Lamont administration is ready and willing to continue the practice so that it may more persuasively argue that the impending crisis, an empty STF fund, necessitates toll taxes. The efficient cause of this legislative pilfering is the disinclination on the part of progressive politicians to control increases in the cost of state employee labor. A deficit is the difference between revenue and expenditures. When you remove from the solution tool-box serious consideration of one of the causal elements of deficits -- permanent, long term reductions in spending -- you get ever increasing taxation that leads, in the absence of spending cuts, to chronic deficits. This is the precipice upon which the entire state now stands peering into a dizzying abyss. And the whole world outside the state is watching and waiting to see whether politicians are inclined to fix a problem that has only been worsened by repeated tax increases. Progressives understand the principle that underlies conservative thinking on taxes: whatever you tax tends to disappear. Indeed, their policies are an affirmation of the principle. That is why Connecticut progressives have imposed a tax on what they call fossil fuels. This year, when heating oil and natural gas tanks are filled, consumers will be paying about $20 more in taxes for their product. Connecticut Democrats say they are imposing the tax because they want to encourage people to move to cleaner forms of energy such as solar and wind power. An additional tax on fossil fuel will drive up the cost of the product and make it less desirable, i.e. more expensive. That is the underlying rationale behind so called “sin taxes” on alcohol and cigarettes for example. The use of fossil fuel has become an ecological sin. Tax it enough and people will become virtuous and choose to heat their homes with so called “cleaner” forms of energy, however expensive, impractical and impossible the transition may be. In fact, most of the showy rhetoric surrounding tax increases is a sales device. Democrats in Connecticut cannot cut spending without cutting their own political throats. They MUST raise taxes, and there are loads of sinners in the state, many of whom have already disappeared.